Open Windows Explorer and click on the Alt key to display the Explorer menu tab. On the Folder Options Windows click on the Search tab. 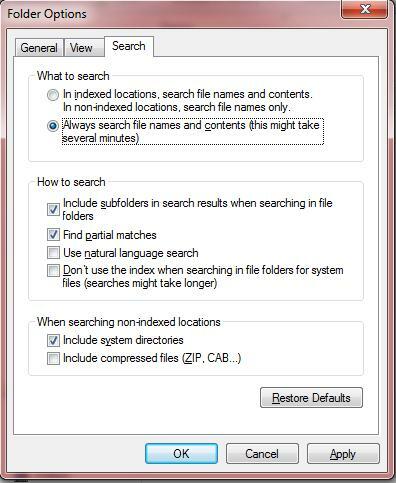 Enable Search File Content by selecting Always search file names and contents (this might take several minutes).